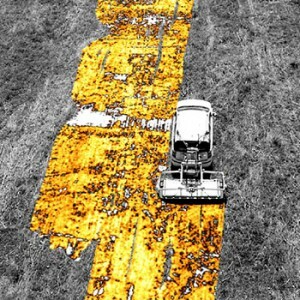 Ground Penetrating Radar (GPR) is based on the emission of electromagnetic waves into the ground and the detection of reflections from objects in the subsurface. From the measured travel-times, the location and depth of these objects can be determined. 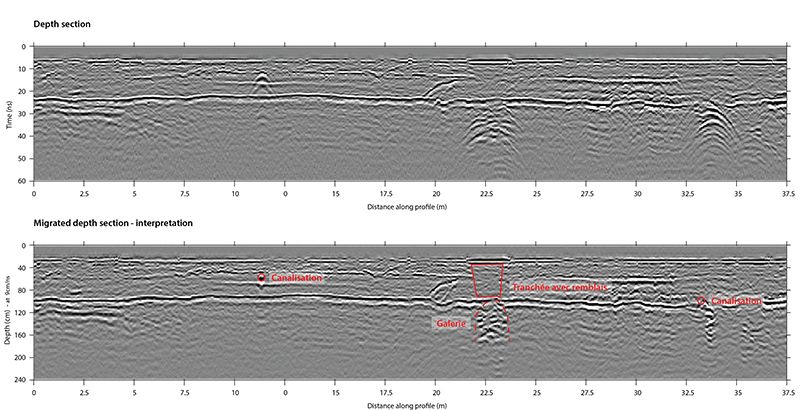 GPR is frequently used in the search for buried structures in the first few meters of the subsurface (pipes, archaeology, civil engineering). The depths of investigation depends on the antenna frequencies and the conductivity of the surveyed ground. Our versatile equipment allows us to detect most of the objects (natural or man-made). Multi-channel antennas make the rapid creation of depth and time slices possible. These solutions are perfect for the 3D positioning of pipes, conduits and archaeological features. 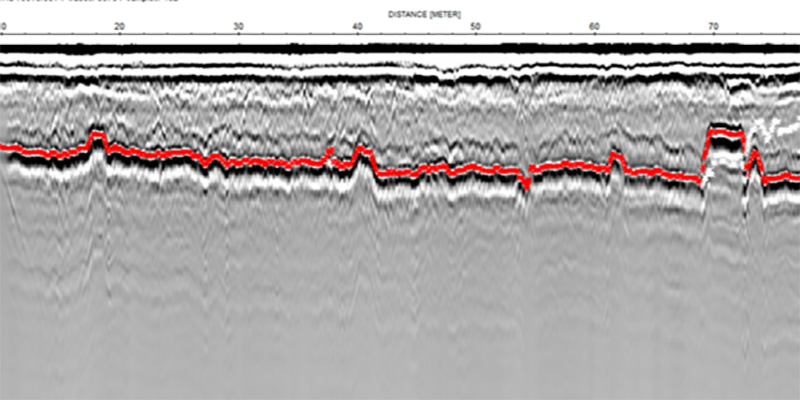 Detailed information and references for Ground Penetrating Radar are available upon request. Please, do not hesitate to contact us.